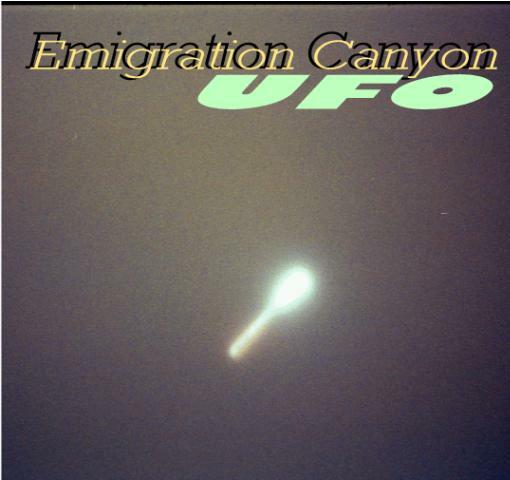 A long cylindrical UFO was sighted in the Big mountain area of Emigration Canyon, moving from east to west, very slowly. no sound was heard. and was about the same level as the faint clouds. It moved back and forth (north-south-jumpy movements) as it traveled westward. the bright end towards the back (east) sighted for about 20 minutes.